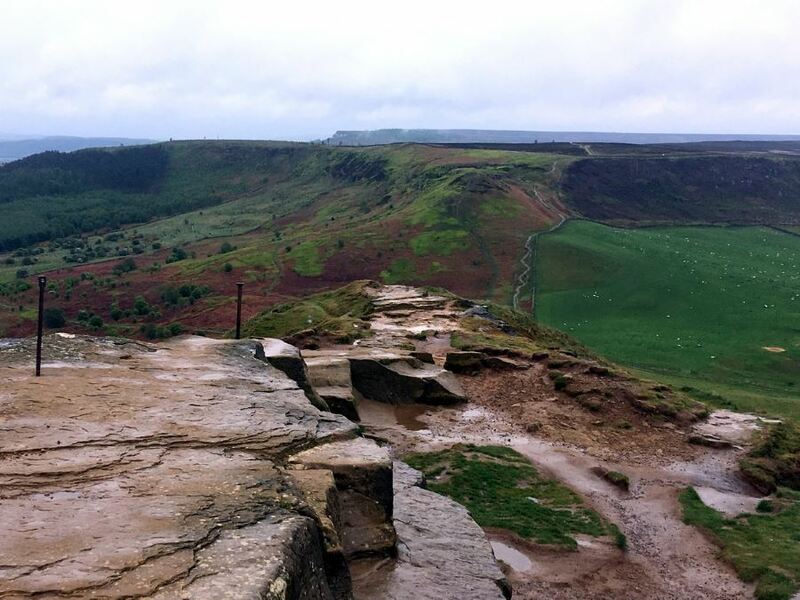 This is a superb hike – taking you to two distinctive peaks of the North York Moors. Though likely to be busy, especially on a summer day, it’s definitely worth the ascent! From Great Ayton head out of the town, following signs towards Kildale. Pass the train station and continue onto Dikes Lane. 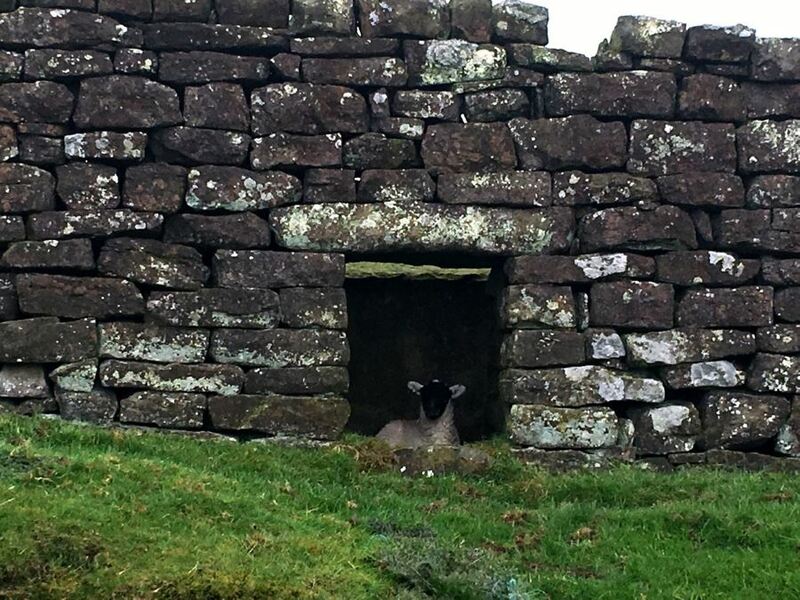 After approximately 4.0km, cross a cattle grid and come to a small car park at Gribdale Gate on your right hand side.  No fee, but no facilities! 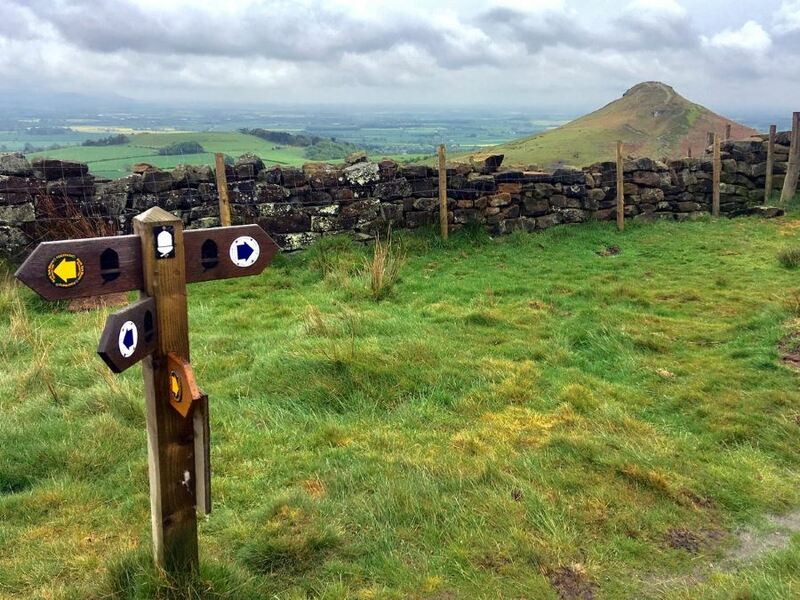 To begin the hike take the track that’s part of the Cleveland Way and signposted towards Kildale, which leads up into the woodland. 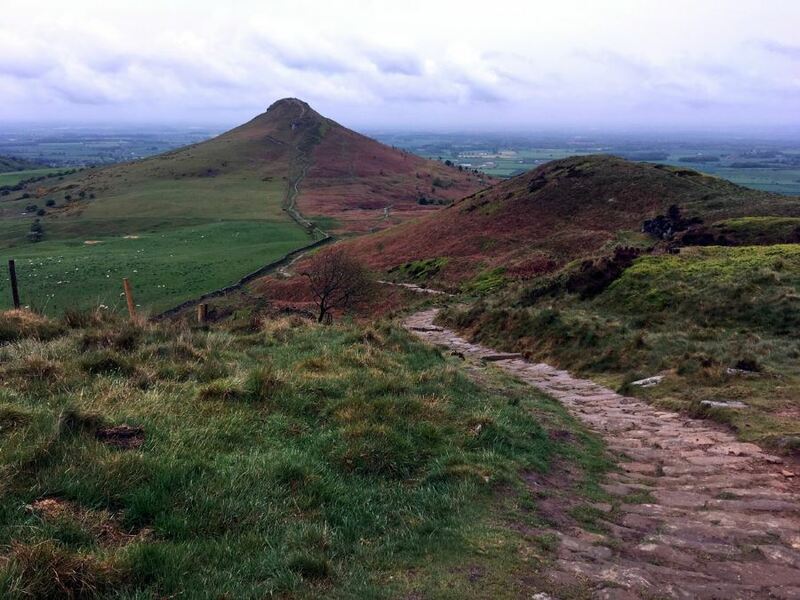 The broad track climbs gently up towards Easby Moor and onto the Cook Monument, approximately 0.8km from the road. The Cook Monument was erected in 1827 to celebrate the life and achievements of Captain James Cook who attended the local school in Great Ayton. From the monument take the narrower footpath turning sharply right from the track up. Follow this path through a gap in the wall and continue with the wall on your left. Where the wall ends the path forks, bear left here. The path descends gently through young trees before reaching more mature woodland and dropping off steeply. There are several paths leading off; ignore and continue ahead! After crossing another prominent footpath you will emerge from the woodland. Pass through the gap in the wall and continue onto a grassy track to meet another track running perpendicular, turn right. 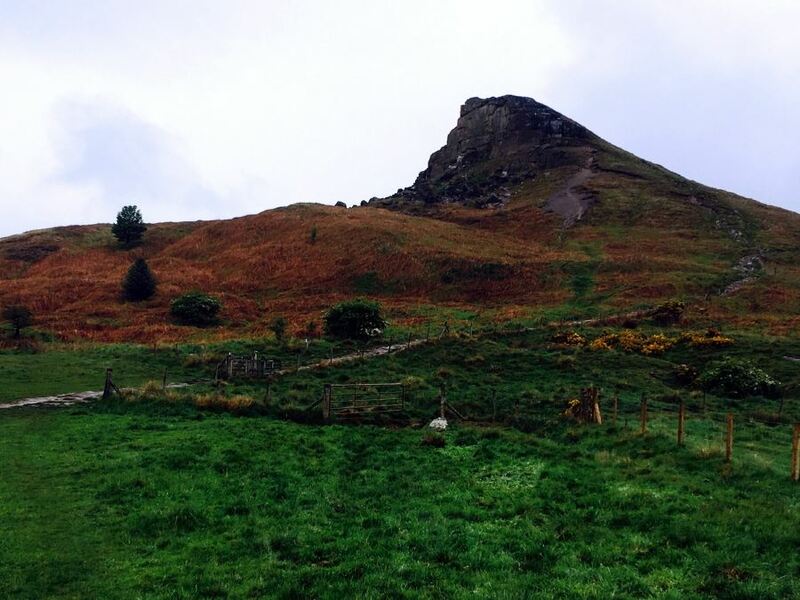 Looking right you will spot Roseberry Topping, a distinctive craggy looking hill and your next stop! Continue along the obvious track as it runs between two fence lines, through small woodland and onto a tarmacked lane before finally emerging at a crossroads with Dikes Lane. Cross straight over Dikes Lane and continue up Aireyholme Lane. This lane rises quite steeply and turns sharply to the right. After 300m you will see a signposted footpath to your left. This path turns sharply off the road and leads up to a field over a small stile. Follow the fence line straight across the field and exit through the gate on the far side to enter the Clive Ridge Wood. The path drops down to the right and continues through the woodland. In early summer the woodland is particularly beautiful with a carpet of bluebells. 300m along you will come upon a crossroads of paths, notice a disused kissing gate and another Clive Ridge Wood sign. Turn sharply right, taking a path leading you up through the woods. Continue uphill on this path as it transverses diagonally across the steep bank to emerge from the woodland to grassy farmland via a small gate. 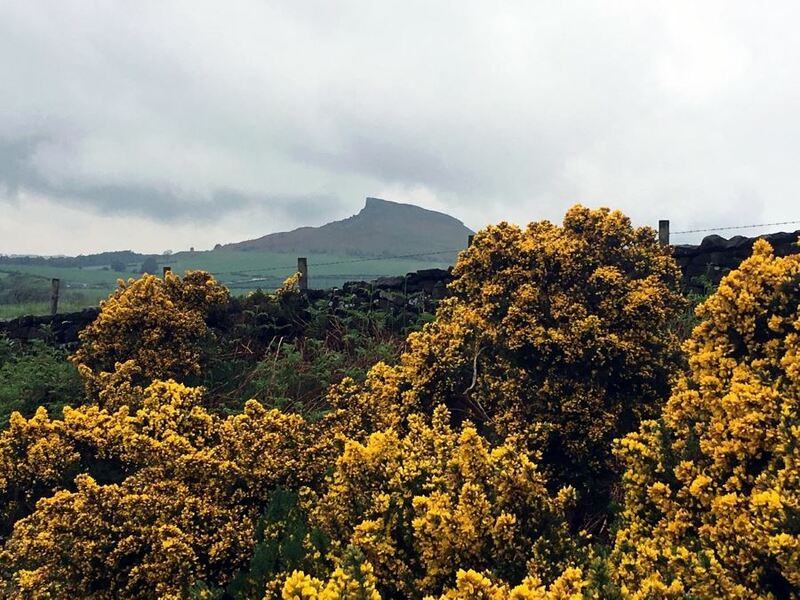 Roseberry Topping looms ahead and dominates your view from here. Turn immediately left to a stile, climb and turn right. Follow the fence line to another stile. Climb and continue towards the cottage ahead. At the cottage boundary bear left to skirt around and head through the gate just slightly further on. 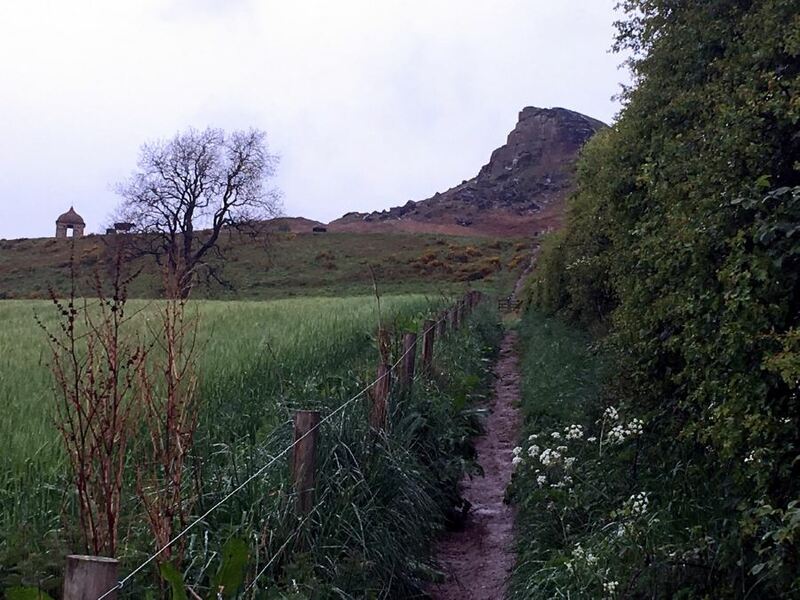 The path now heads straight for Roseberry Topping gradually steepens. There are several options to the top, some steeper than others – but all obvious! 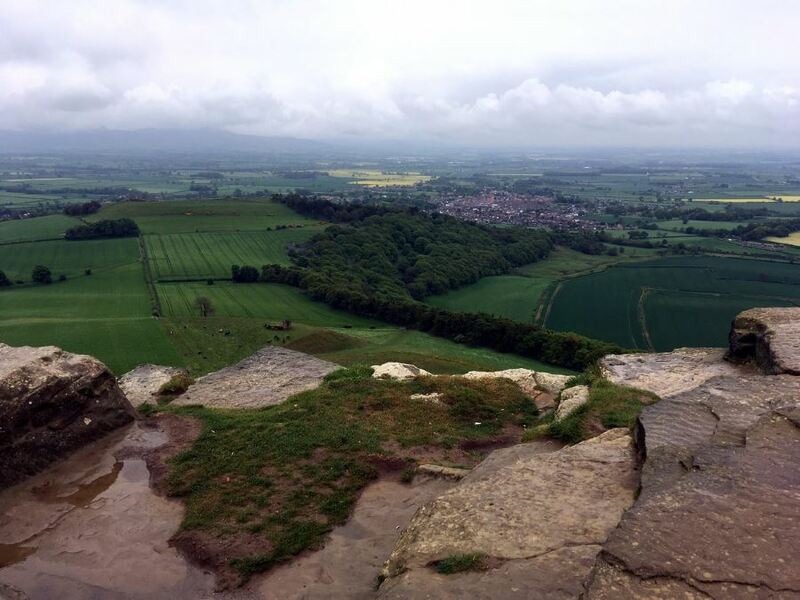 From the summit enjoy the splendid views down across Teesside, Guisborough and out to the North Sea. To the south you can pick out the Cook Monument and the Cleveland Plain as it rises to meet the moorland. 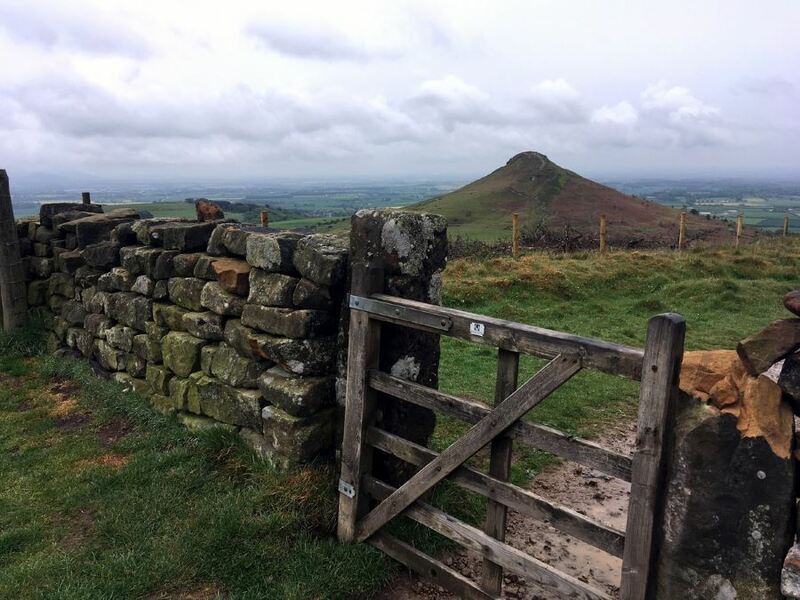 From the trig point head along the ridge of Roseberry Topping, then drop steeply down to the saddle of Roseberry Common. Continue ahead to climb to the ridge, following the path as it runs alongside a stonewall leading you quite steeply uphill. Upon reaching a gate on the ridge continue through, before bearing right at the fork following the National Trail acorn Symbol. Follow the well-marked broad trail along the crest for almost 2.0km. Follow signs as the path exits the moorland, drops down to the lane and returns you to the parking area below. 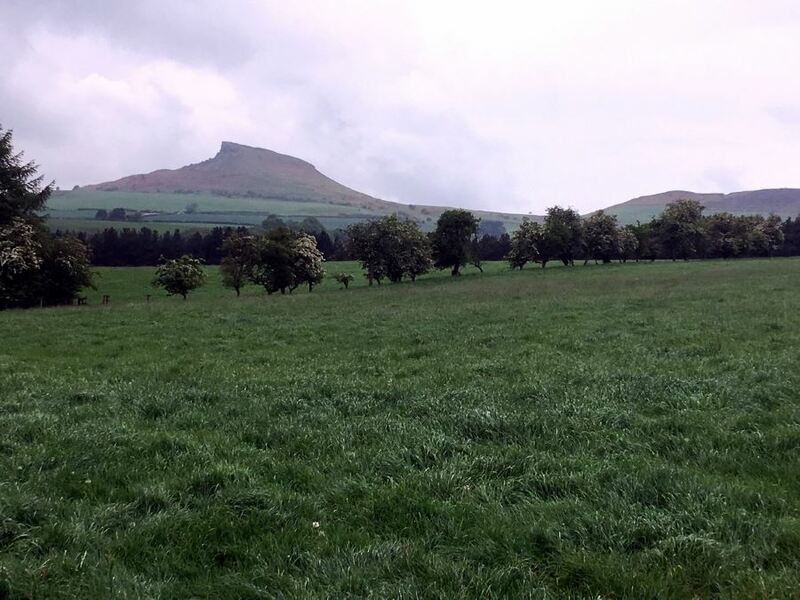 Post walk head to Great Ayton for a pastry treat from D Petch or fish and chips from the local chippy. 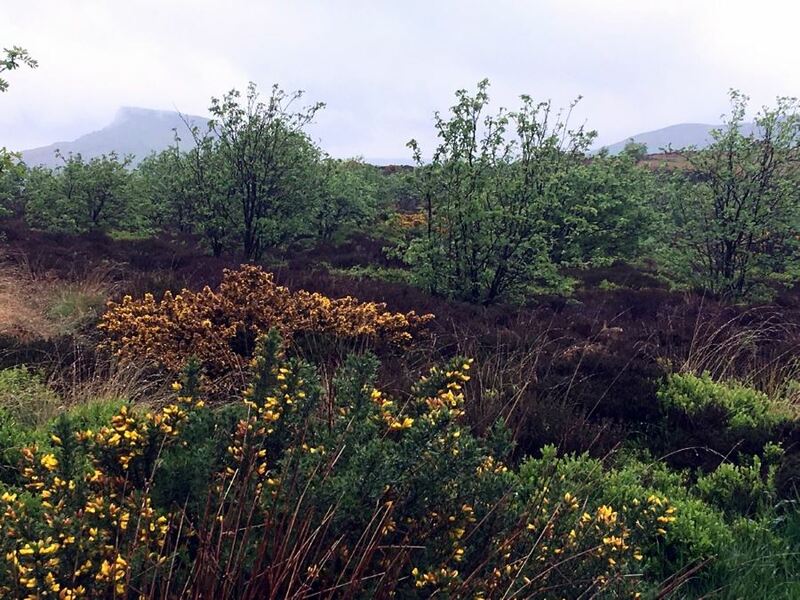 If hiking with young kids or you’ve got tired legs, opt for an out and back route to the Cook’s Monument. For a spot of culture head to the Great Ayton museum and find out more about the legend of Captain Cook. That was the first hike I've done in this area. It did show some nice scenery of the places. I remember it was also a very nice day. It's not hard, a few steeper places.